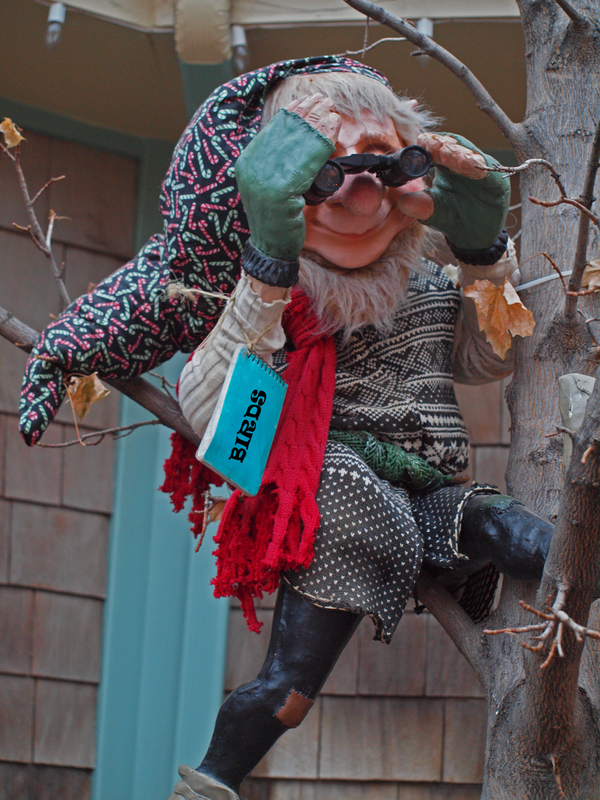 I just knew it...At least one of Santa's elves is a birder! I'm surprised however at the cheap binoculars he's using. With all the mega-skills elves have for making things, one would think that top-of-the-line optics would be used. On behalf of the Mortensen family and the family of BiF! contributors, we wish you all a very merry Christmas. May Santa provide each of you some nice new optics or other cool birding gear! * Pacific NW Birder - Greg Gillson has a cool photo of a Green Heron and also an interview with me about how and why I use eBird. * Stokes Birding Blog - Lillian shares some holiday wishes and a Christmas Bird Count (CBC) report. * Rosyfinch Ramblings - Ken relates a sweet moment with his granddaughter along with some nice bird and nature photography! * Donald the Birder give his CBC report. * Butlers Birds and Things - Laurence posts about Lewis's Woodpeckers, Eurasian Wigeons, and John James Audubon. Good stuff! * Wildlife Photographic Journals - Rich Steel has some spectacularly amazing photos of rails. * Tails of Birding - Chris Petrak gives you the opportunity to test our your dabbler i.d. skills. Give it go! * Red and the Peanut - Kelly Riccetti has awesome Egret images and also shares her CBC report. * Show Me Nature Photography - Jim Braswell has Eagles, Egrets, and Ibises. Beautiful images! * On the Wing Photography - Not to be outdone, Mia McPherson has Eagles, Egrets, Falcons and Gulls. More beautiful images! * Steve Creek also has Eagles, Elk and Herons. Yet more beautiful images! * Photo Feathers - Linda Rockwell posts images of a pair of geese. Can you name the species and the location? 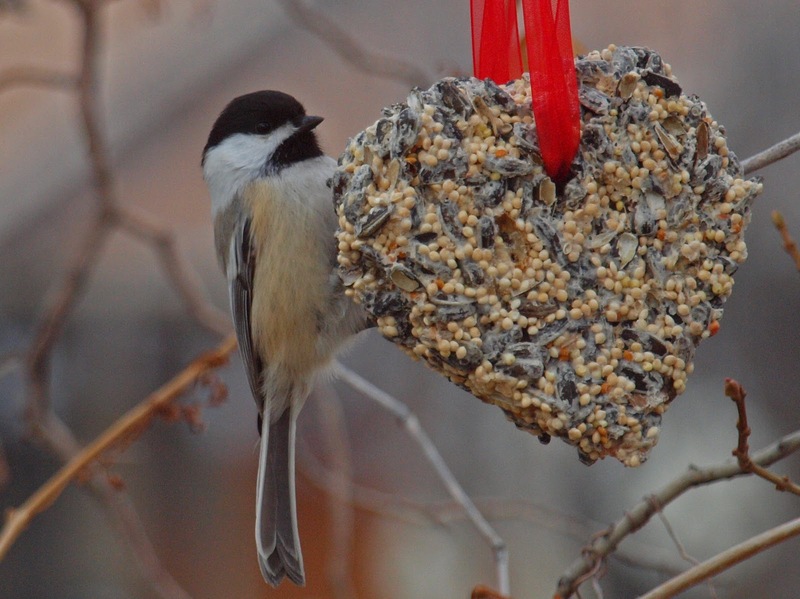 * Kathie's Birds - check out images of Kathie Brown's backyard birds and wildlife! * Scott Simmons delightful images of Gulls and Pintails and true to his blog title of Learn Outdoor Photography, he gives a nice lesson on direction of light. * AZ Bird Brain - Jeremy Medina present a profile on the Bewick's Wren. Ahh...makes me miss Arizona. * Nature Observances - Dan Huber has one of those dang accipter challenges and shares his photography practice. * Nutty Birder - Rob's brother and co-blogger Eric relates a Say's Phoebe chase. * I have really enjoyed reading the discussion - including and especially the comments - on the ABA Blog about Big Year counting rules. Ya just gotta love it! Timely discussion too, as it relates to John Vanderpoel's Big Year coming to close. He's seen 740+ species this year in the ABA area. WOW! * Also at the ABA Blog, I invite you to share your American Kestrel experiences and memories. * Did you catch Tammy Karr's Birder Profile here on BiF! this week? Her images of Florida Scrub-jays on her blog are also worth checking out. Fantastic! * Ron Dudley has an incredible shot of a Prairie Falcon in flight with its shoveler prey. I'd be remiss if I did not mention that some of the best bird blogging each week is going on right here at "Birding is Fun! ", right?! I mean, just scroll through the last three months of posts...wonderful writing and amazing bird photography. Are you enjoying the bloggers here at BiF! and the new format? I welcome your feedback. Feel free to email me. The bird seed Christmas ornaments we made as a family are being enjoyed. I've seen Chickadees and Juncos celebrating on them. I love your photo of Chiggy on the heart. Sooo cute. Great idea too... Merry Christmas! nice site thanks for sharing. loveable.